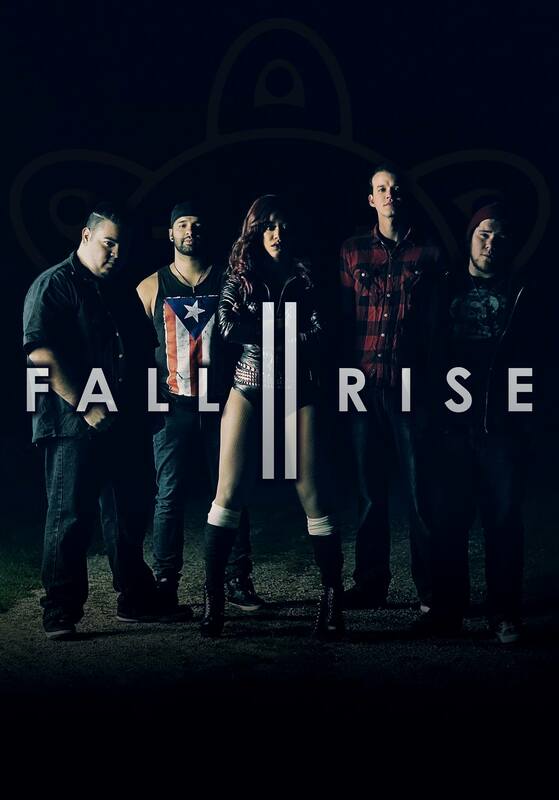 Fall II Rise (fall-to-rise) is a female fronted Alternative Hard-Rock band. Originally from Puerto Rico and formed in 2009, this band displays influences from classical, jazz, heavy metal, and latin music, bringing a unique twist to the traditional hard rock genre. Chosen by Evanescence as Opening act during their 2011 performance in Puerto Rico, This band has acquired a loyal following throughout the years. Fall II Rise rose among Puerto Rico’s rock culture receiving significant support from the local media, being featured in renowned newspapers, and with major airplay in the local radio stations. Since then, Fall II Rise has had the opportunity of touring major cities within the United States, having great support and following in the Midwest. Due to such a great response from the public, the band decided to set roots in Madison in July of 2014 with a new line up, where they keep attracting devout fans after rocking performances onstage throughout the state. They have received tremendous support from the local radio stations, being selected as Madison, WI’s 94.1 JJO’s featured local band in August of 2014 and February of 2015. La December 2015, Fall II Rise released their second production, an EP titled “Demise of the Empire”, along with the music video for its single “We Are” early 2016.